I had the pleasure of interviewing Andrea DeRosa and Ashley Manhan, Founders of Avenue Interior Design. 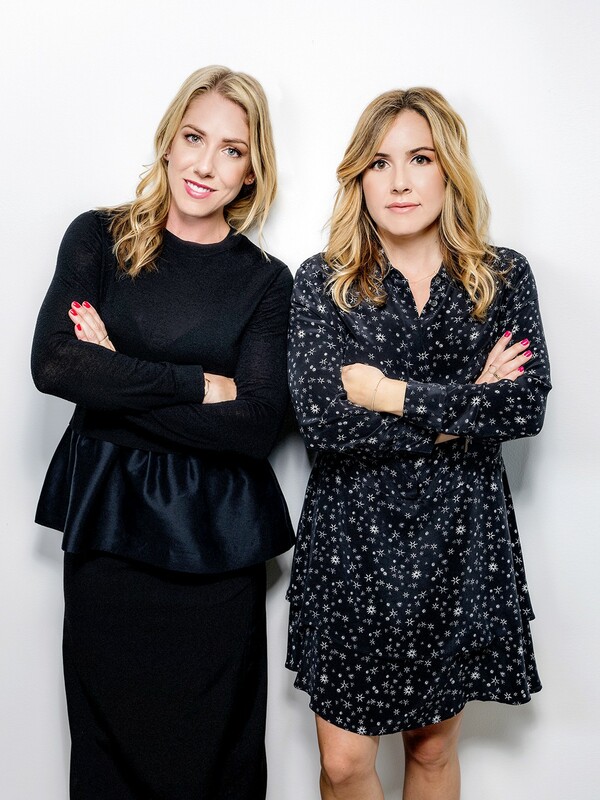 The LA based duo are reaching 10 years into their business venture, which was launched at the turn of the recession when the girls were just in their mid 20’s. The luxury hospitality firm has reached a turning point, gaining both boutique projects such as La Serena Villas, and The Ramble Hotel, both recently completed as well as playing active roles in major projects such as the Vegas Palms Renovation, and MGM Springfield. Ashley and I met years ago at one of our first design jobs. Ashley was still enrolled at UCLA and I had recently moved to LA upon graduating from UW-Madison. We instantly connected and became inseparable friends. As we worked together, we realized we did so seamlessly and eventually we decided we’d start our own firm at some point down the road. Thanks to the crash a decade ago, that day came sooner than we anticipated and we founded Avenue Interior Design in the winter of 2009. There have been a lot of unexpected twists and turns throughout the years — most of them pretty typical — unexpected project wins — unexpected project losses. In the very beginning, we secured a piece of incredible press that generated a lot of interest in our company. It was 2010 and reality television was really on fire. Turned out, a handful of production companies wanted to discuss docudramas with us… which was hilarious to both of us as we are very much drama free! While we entertained a couple of meetings, I think it became mutually understood that it wasn’t in our cards. It’s pretty simple actually — we’re very collaborative and very easy to work with. On paper, this seems like a pretty boring response, but to our clients, it’s everything. Creative industries are notoriously tough — everything is subjective, personal and there tends to be a lot of ego involved. We really eschew the ego and focus on making sure we are listening to our client and giving them what their project and target demographic demands. Aesthetically, what really stands out is our ability to design to any aesthetic, region or target market. For instance, our work for SBE is very different than our work for MGM Resorts International. We’ve found ourselves taking the initiative to present preliminary concepts when bidding on particular scopes of work to communicate to our clients that we can speak THEIR language. So, so true. We’ve been extremely fortunate to have an abundance of friends, family, mentors and industry contacts that have been nothing but supportive from the day we established Avenue Interior Design. There is one hospitality Executive in particular (he knows who he is!) who we knew prior to starting Avenue and whom has been a wonderful client and mentor to us as we’ve grown over the years. He’s always trusted our aesthetic and respected our professional instinct and it’s served both parties well over the years. Additionally, SBE gave us our very first scope, the Redbury in Hollywood, and we still work with them to this day. For us, it’s about building relationships, not just securing projects. One of our most exciting projects to date is a project we’re currently installing with Station Casinos — it’s a full overhaul of the Palms Fantasy Tower in Las Vegas. From the moment we reviewed the branding deck — before we were even signed on — the concept for the renovation resonated with us. Over the past year and half we’ve concepted (and are currently installing) new designs for their typical guestrooms and suites, the penthouse suites and a handful of their highly publicized themed suites. The Ownership team had a deep respect and admiration for art and it’s taken center stage throughout the property’s renovation. The resulting effect is intriguing, engaging and leaves you wanting more. One of our core objectives when we drafted our initial plan was to establish and facilitate a truly fun place to work. A place we, and eventually our employees, would actually want to come to every day. And it’s not really about keeping the fridge stocked with hip coffee and juices, it’s about real respect for the individuals that dedicate their time and creativity to you day in and day out. Every member of our team makes a valuable contribution to our team and we value that above all else. 1. Good things come to those who wait. Initially we knew that it would take time to build our brand, to build a loyal client base and just in general, to simply secure scopes of work. We had no idea just HOW long it could take — we’ve entertained projects for 18–24 months before securing them. And sometimes, even those projects that seemed so viable go nowhere. 2. Don’t always expect everyone else to think logically or reasonably just because you are. Despite being in a heavily aesthetic based profession, at the end of the day, we’re both very pragmatic and logical in our approach from a business perspective. Naively, we believed those traits were fairly objective! 3. Understanding the power of no. When we had just launched, we tried to rationalize entertaining each and every scope that came to us. We said yes when we should’ve said no. Maybe the fee wasn’t appropriate, we weren’t aligned with the client’s vision, the scope was too undefined — there are so many times when you should trust your gut and politely decline. It only took a couple of times to learn the lesson that sometimes saying yes is just bad for business. 4. It’s ok to lose. Rejection is a gift. As you become more successful, and subsequently, more in demand, you also lose more. It’s simply a numbers game. The first loses were so hard — we desperately wanted wins! We wanted the chance to be part of the team, a chance to help communicate our potential client’s vision. But at the end of the day, those loses build character and perseverance — not to mention there’s nothing worse than being in a contractual binding relationship where you’re not valued. Richard Branson. He’s a true innovator — does any one individual have more drive than him?